IAM International President Tom Buffenbarger made a further announcement at the MNPL Planning Committee meeting in Houston, TX that District 15 President and Directing Business Representative James Conigliaro will fill the post of General Vice President (GVP) in the General Secretary-Treasurer’s (GST) Department when current GVP Dora Cervantes becomes the new General Secretary-Treasurer. “With the addition of James Conigliaro, the General Secretary-Treasurer’s Department will have the best of the best to carry out the many tasks necessary to ensure the IAM remains one of the most financially sound unions in the labor movement,” said Buffenbarger. Buffenbarger cited the changing and more complex financial environment that the GST Department must operate under. “We had the financial meltdown in 2008 and that put more pressure on pension regulation and funding. We have to comply with regulatory oversight rules on unions that are getting more complex every day. And then there’s the challenge of managing health plans amid rising costs and even more regulations. But we have met every challenge. District 15 is one of the IAM’s largest Districts with members in diverse industries including a large presence in the automotive and trucking industries. 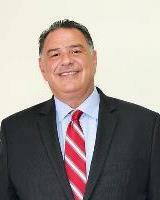 Conigliaro joined Local 447, one of District 15’s largest and most active Locals, in 1977 as a maintenance mechanic for United Parcel Service. He was active in his Local and District and has been the President and Directing Business Representative since 2003.